As we said, making resolutions is easy, keeping them is the hard part. 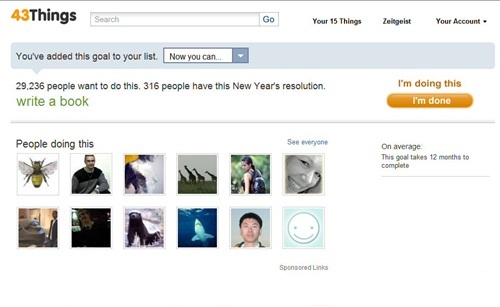 Although most resolutions are the same for different people, some of them might differ. 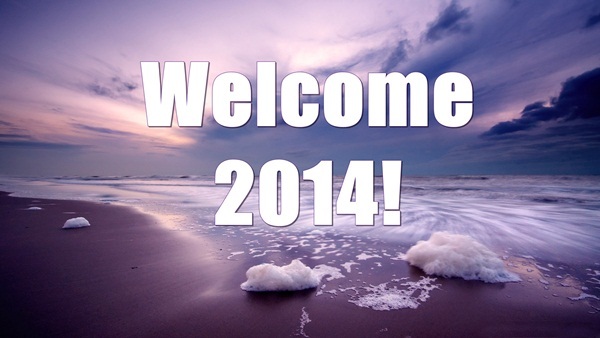 Sometimes we simply wish to change for the best, experience more, and live happier lives. Modern life is extremely stressful, and with so many daily tasks that need to be done, we require the help of technology. If you really need an incentive to push your life in the right direction you might want to consider the following apps. They will enable you to track your progress throughout the day, and generally fulfill your New Year’s resolutions. 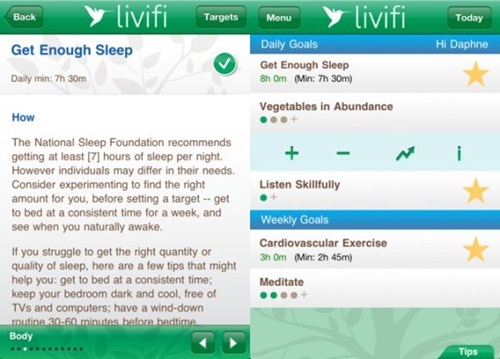 If you are feeling overly ambitious, Livifi is the perfect app for you. With it you can track over 40 fact-based goals for your mind, relationships and body. The great thing about it is the fact that every objective is accompanied by a relevant recommendation on how it may be accomplished. 43 things understands how difficult it is to change, and this is exactly why it helps you set three goals, share your progress and have people cheer you on. There are thousands on people on 43 things that want to change, and also want to help you change. Some of the goals are incredible, while others are not very difficult to accomplish, but all you need to know is that there are people who will help you. Yes, Facebook. Instead of deleting your account in a fit of rage, why not do the right thing? It is impossible to escape technology, and not being part of this world can only do you harm. We are not telling you to get thousands of friends on Facebook, but with our busy schedules it is sometimes impossible to communicate in real life. If you correctly curate your friends you will be able to keep in touch, and also find out about important things. 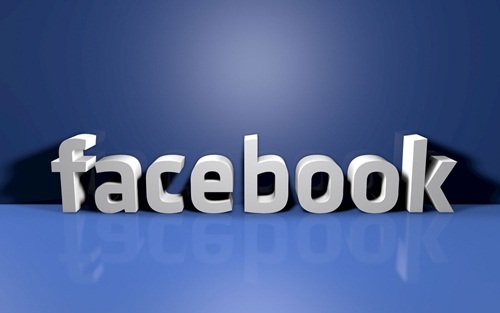 With so many features being implemented (GPS tracking for restaurants, events, groups of interest etc..) it would be foolish not to be part of Facebook. It is the facto social network from which you can learn new things, find events and also communicate with your family and friends. Whatever your goal may be, Mind Bloom can help you. If you are into analogies and comparisons of your life with a growing tree or blossoming flower, you will definitely enjoy this app. 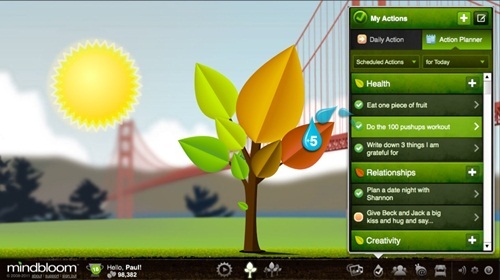 With it you can create personal goals and add information. Depending on the direction in which your life is going, your tree will blossom or turn green. We live such hectic lives that sometimes we simply forget to breathe, relax, meditate or unwind. Accumulating too much stress is not healthy, and ignoring your spiritual needs is even more dangerous. Breathe2Relax is a free app available for iOS and Android and it is focused on diaphragmatic breathing techniques that will “decrease the body’s fight-or-flight (stress) response”. It also helps with mood stabilization, anger control and anxiety. So if you want to manage your anxiety levels, you will want to use Breathe2Relax.